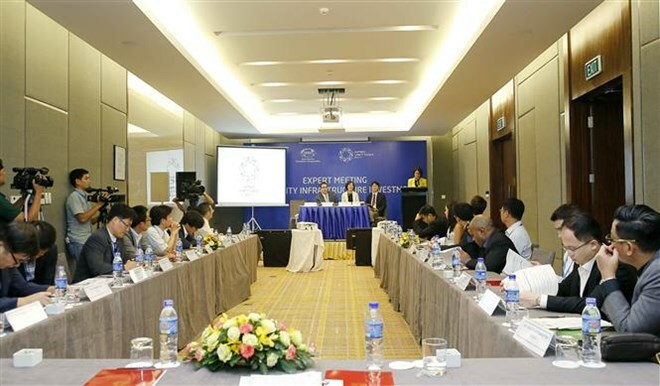 HCM City (VNA) – Officials from member economies of the Asia-Pacific Economic Cooperation (APEC) forum have highlighted the benefits of establishing competition chapters in free trade agreements (FTAs) and Economic Partnership Agreements (EPAs). They gathered at a workshop on FTA Negotiation Skills on Competition of the Committee on Trade and Investment (CTI) which took place in Ho Chi Minh City on August 19 as part of the third APEC Officials Meeting (SOM 3). CTI Chairwoman Marie Sherylyn Aquia said in her opening remarks that there is a strong relationship between trade and competition policies due to their similarities in objectives. Both trade and competition policy seek to enhance welfare by providing for more efficient allocation of resources, whether it be in lowering trade barriers or through promoting competition, she said. The official noted that new, comprehensive economic or trade agreements now feature specific provisions or entire chapters to competition-related matters, and that currently, work to negotiate competition policy happens more at regional and bilateral settings. There is growing recognition that provisions on competition in trade agreements and more generally, better competition policy, foster and improve the efficiency of competition in markets including benefiting consumers and businesses, she said. Toru Ishiguro, from Japan’s Fair Trade Commission, said competition articles in EPAs make enforcement cooperation between competition authorities easier. Through the dialogue in the negotiation for the competition chapter, each agency builds mutual understanding and trust, which leads to a shared awareness of sound enforcement activities, said Ishiguro. Satoshi Ogawa, a competition lawyer from the Competition Division of the Organisation for Economic Cooperation and Development (OECD), held that competition policies benefit consumers in the short-term and boost innovation and growth in the longer term, while contributing to the fight against corruption. Hiroshi Kuro, from the Japanese Ministry of Foreign Affairs, stressed that APEC has an important role in promoting competition chapters. He also suggested Vietnam learn new things, like through this kind of workshop and collaboration between governments, in order to complete its competition laws. The CTI was established in November 1993. APEC leaders and ministers direct its work and APEC senior officials provide guidance. The scope of the CTI’s work was expanded and further clarified by the Osaka Action Agenda in 1995. It provides a forum for 21 APEC member economies to deliberate trade and policy issues. It works to reduce impediments to business activity in the areas outlined by the Osaka Action Agenda, with the objective of helping APEC economies achieve free and open trade and investment.